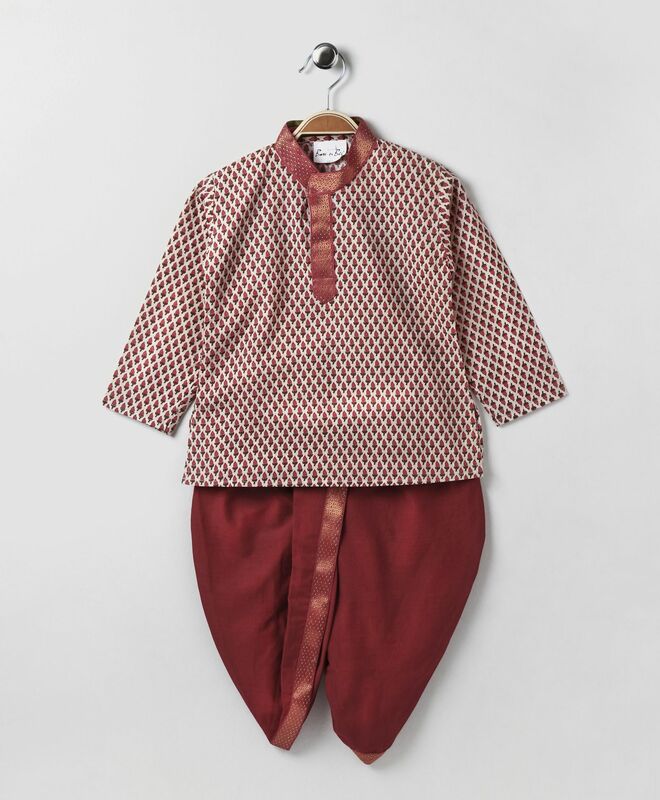 This festive season, dress up your little one in this attractive & trendy ethnic set. This traditional attire is a must-have for your little darling and is ideal for those special occasions. Kids will be comfortable all day long.